Thanks to the constantly changing digital landscape, advertisers have been forced to get more and more creative with their advertisements, all while looking for the next great advertising idea. Now that virtual reality headsets are rising in popularity, the next step seems clear: VR ads. Virtual reality users are a captive audience: they’re fully immersed, and they aren’t going to take a headset off until they’re done—not even because of an ad. But in an age of ad blocking, how do you get customers to like advertisements they’re forced to watch within the headsets? For advertisers, the appeal of VR is clear. In a world of ad blocking and ad blindness, VR offers a fully viewable and entertaining experience—if it’s done right. Unfortunately, like any other new and shiny piece of tech, a decent VR set has a hefty initial price tag and doesn’t have the most sophisticated features or the largest following right now. And just because the thought of complete immersion in a virtual reality is cool, it doesn’t mean it’ll be popular, or that its popularity and demand will last. While it’s expensive to get started in VR, there’s a lot of money currently backing it. Big companies like Facebook, Playstation, HTC, Google, and Samsung all have plans for VR headsets. These headsets range anywhere from the $20 Google Cardboard, to the $100 Samsung Gear VR and the $800 HTC Vive. 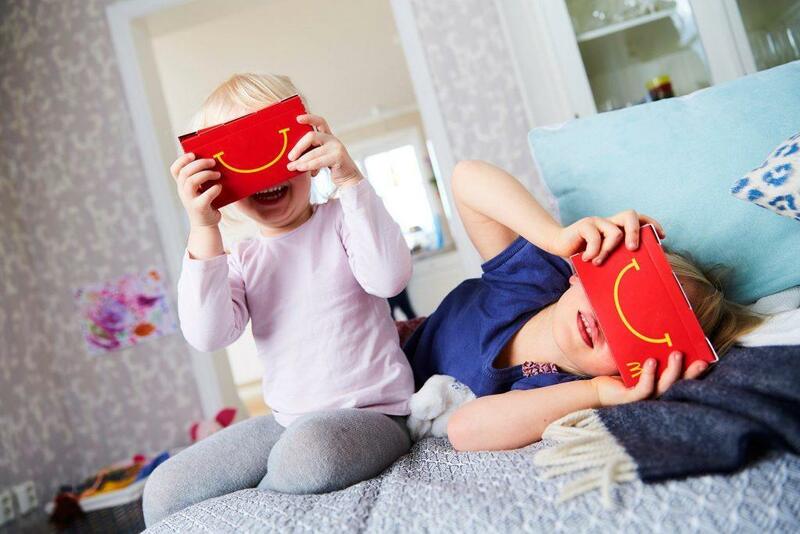 Or, if you were lucky enough to be at one of the 14 McDonald’s restaurants giving away Happy Meal VR boxes, you may have gotten one for free. Despite the costs, publishers and advertisers are already buying in. The New York Times has a VR Editor, CNN has streamed political debates in VR, and USA Today Network has produced over 40 pieces of VR content since 2014. The rise in platforms supporting 360-degree video has also upped the appeal for virtual reality. YouTube’s 360-degree video channel launched just over a year ago and has over one million subscribers. Facebook supports 360 video now, as well. So even though it’s expensive to start, you can’t ignore the fact that there are big-time companies investing in VR who have the power to shape where technology and the media are heading. However, there’s currently little data on how people use VR, what they like, and what makes for the best overall user experience. That also means there’s no data to predict how VR users will react to different types of virtual ad campaigns. What Does Virtual Reality Mean for Brands and Advertisers? Advertisers are used to adapting and evolving to the changing technological landscape, and virtual reality may help advertisers become extremely relevant as early adopters. So far, VirutalSky and Immersv are the two main VR ad platforms. Ad formats range from short pre-roll ads that play before an app loads to longer videos that may play between levels of a VR game. VR also offers unique features that allow advertisers to track eye movements in order to know exactly what parts of the screen viewers are looking at and the parts they’ve chosen to interact with. 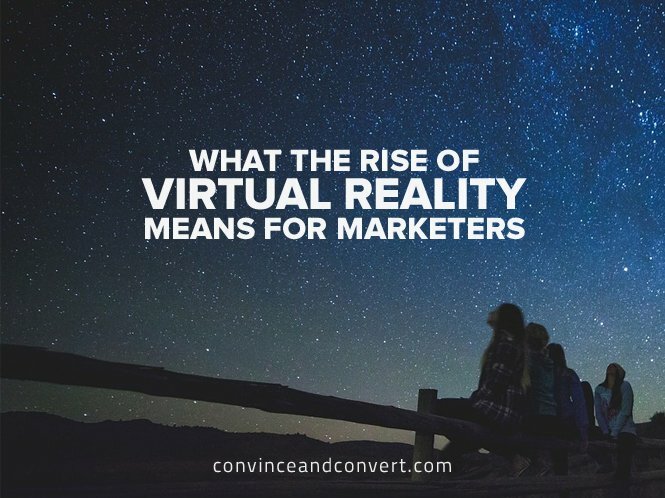 However, while VR presents a unique opportunity for advertisers to reach a completely immersed audience, it also means they have to create ads that people don’t mind watching or interacting with. After all, there are no ad blockers for VR (yet). With VR, consumers are going to be much less forgiving of an invasive or boring ad than they would if they saw the ad elsewhere and could easily click out of it. A poorly made VR ad may not only have a negative impact on a consumer’s brand view, but it could also ruin their entire VR experience. If VR is done right by advertisers, though, it could lead to much higher forms of user engagement by offering consumers more opportunities to interact with content. Even though virtual reality is still in its infancy, there are quite a few brands who are already gearing content toward VR users. Here’s how you can learn from them to delight your VR viewers. IKEA and Carnival Cruise are both great examples of using VR to let customers try before they buy, albeit for different reasons. Similarly, Carnival Cruise embraced 360-degree video to take customers on an instant Caribbean vacation in the hopes that they’ll instantly want to go there (who wouldn’t?) and book their next cruise with them. By giving people a taste of what they could have, it instantly makes them want it more. Game of Thrones released an experience for their fans that takes them to the land of Westeros and places them at the top of the Wall at Castle Black. 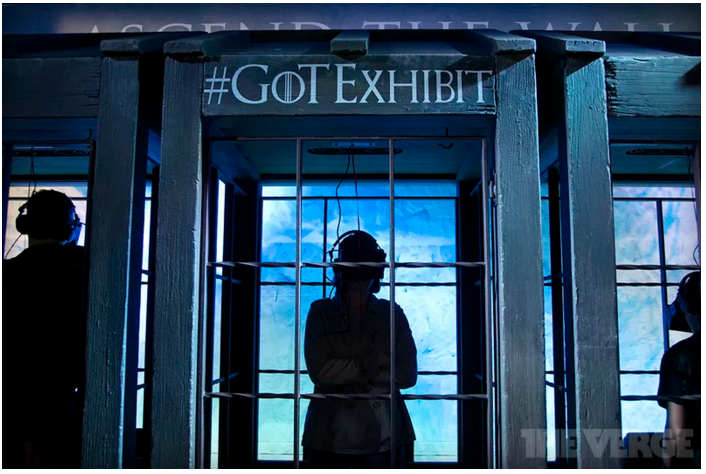 While most Game of Thrones fans probably don’t want to actually go to a place that cold and, well, violent, the VR experience lets fans do so without the risk of meeting their demise. This virtual experience consists of more than just putting on a headset, too. It’s a fully immersive traveling experience where viewers step inside a replica of the elevator on the Wall, so they can actually feel the rumbling as it goes up and down and the blasts of icy cold air. Talk about immersion! New York University is using virtual reality in their recruitment attempts. Students who have been accepted into the engineering program were sent a cardboard VR device and instructions to download an app that would take them on a virtual tour of Mars. 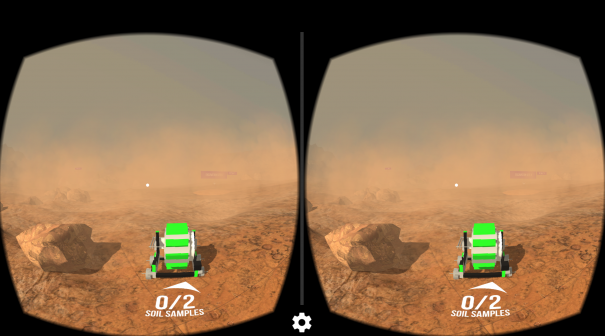 In the app, students can pilot the rover “Lunabot” across Martian terrain and even out into the galaxy. The colors and designs for the images and visuals in the app were sourced directly from NASA. VR enables NYU to stand out in a sea of other schools. It also allows the school to showcase not only what’s available, but also what the school and faculty can do for prospective students, and it shows potential students the skill sets they could gain by attending NYU. The Guardian doesn’t believe that VR is just a fad. They decided to jump into the “deep end of the pool” with their first big VR project: a VR app that explores solitary confinement and its effects on a prisoner’s psyche. 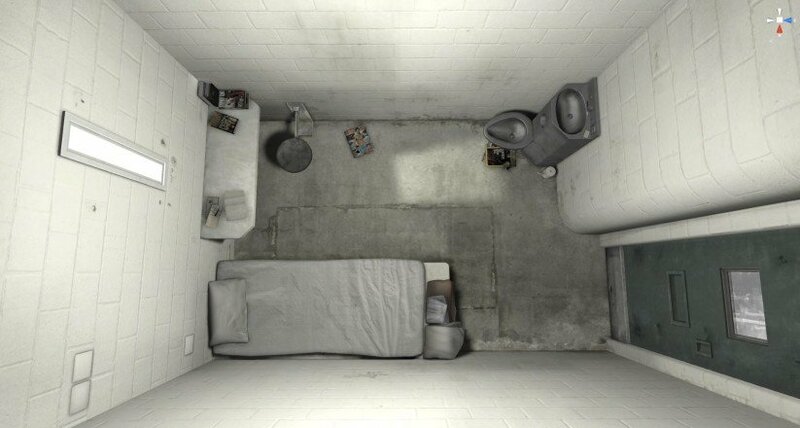 In the app, viewers experience a six-foot by nine-foot prison cell that they can interact with. Formerly incarcerated people were interviewed for the project, so when a viewer looks at individual items in the cell, it prompts a different dialogue from a former inmate telling his or her story. This means that each viewer can have a completely different experience and learn about the psychological consequences of being in solitary confinement for too long. While this idea can also apply to the idea of letting customers try before they buy, VR ads can ultimately make advertising more fun. Honda released 360-degree virtual reality content that lets viewers check out the new Honda Civic from the inside, and even test drive it by playing a racing game. While the hype behind virtual reality may or may not die out, there’s no denying the fact that it’s a cool bit of tech. 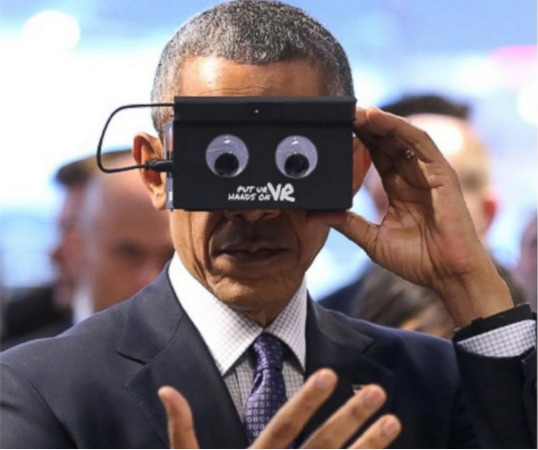 Even President Obama had fun playing with VR. If VR takes off, brands and advertisers will be able to reach fully immersed customers on a platform unlike any other. Early adopters will have the upper hand in experience and consumer data to help them rise above the rest. Alexa Matia is the Junior Content Writer at eZanga.com. A native of Central Pennsylvania, she graduated from Shippensburg University with a BA in English and loves to write about all things digital, including social media, PPC, display, and pay per call advertising.